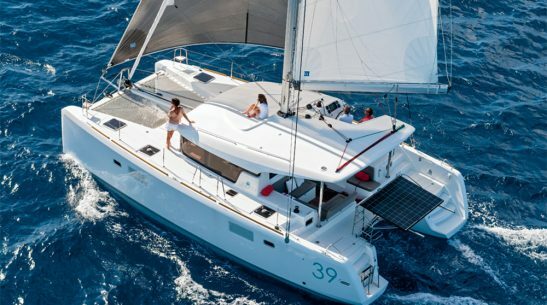 Catamarans…once a taboo word with in the sailing community, are now with out doubt the most popular boat for holiday charters and cruising groups all over the world and with the production of Catamarans being taken up by all the leading manufacturers, this is a style of cruising that is only going to get bigger and stronger. Marine Events has seen the impact Cats have had on the charter markets in the Med and Caribbean and is now actively trying to increase their UK fleet to reflect this change in trends. 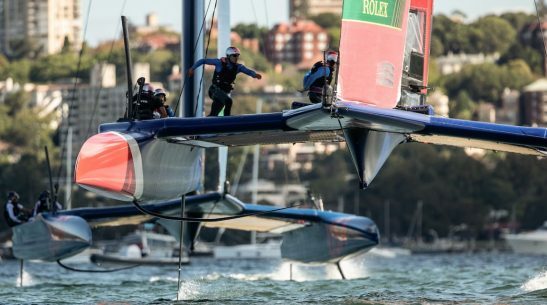 The mono hull purists (which we can consider our selves) would say that Cats lack touch and feel when sailing, they do not lean over, they sail flat, so taking away whats pure about sailing. These sailing ‘negatives’, quickly become positives if you link them to either a corporate day on the water, a weekend with your friends or a holiday overseas, the boats sail flat, giving you a superb stable platform to enjoy, their lack of touch and feel, means the smoother, less twitchy, stable ride gives non sailing guests a much more enjoyable day, without spending the day’living on the edge’. 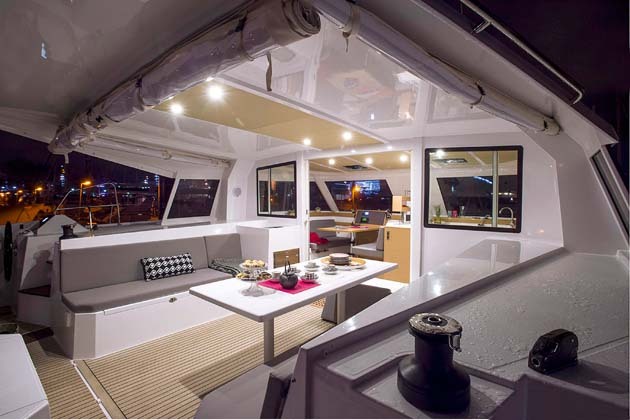 The reason for their stability, it the width of the two hulls, this give an infinite amount of deck space, making it easy to walk around, but also providing a vast open plan saloon and cockpit all on the same level, ideal for entertaining guests or relaxing on board with family and friends. Despite all this Mono Hull negative talk, sailing a catamaran is fun and exciting, it is very fast and ticks all the boxes for a great day on the water, also, sailing flat, mean your drinks seldom spill! 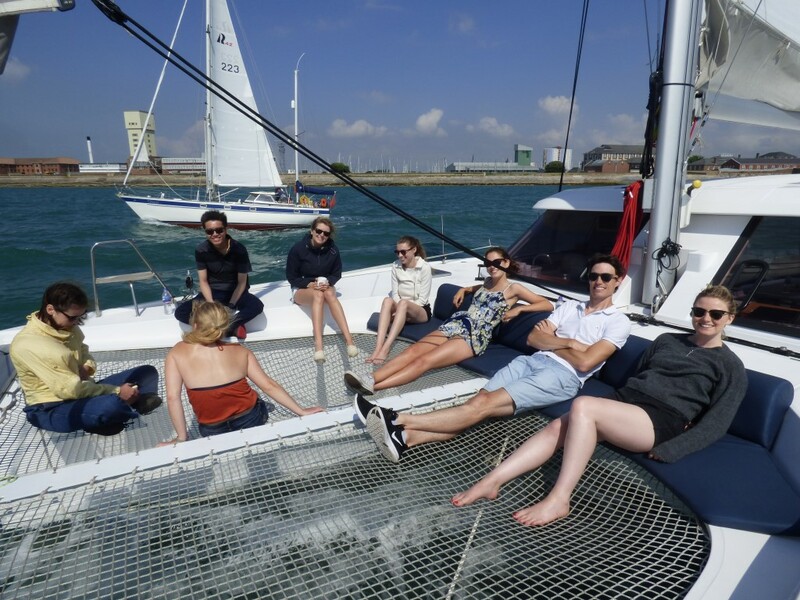 Our Corporate Day’s on board our Catamaran fleet follow a similar format as our sailing days in itinerary and cruising grounds. NOTE; The 3rd picture on the right was NOT taken while at anchor, it was taken while sailing at 7.5 knots in 15 knots of wind. 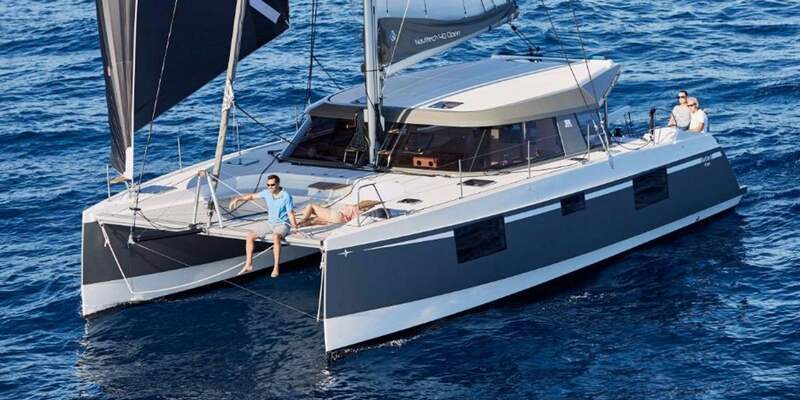 Luxury Catamaran Sailing Day – What’s included? Detailed below you will find a list of everything that is included in a standard package. There is also a drinks package and some sample menus. Hopefully this will give you further insight into the quality and attention to detail of the events that we provide. Additional package information and upgrades available. 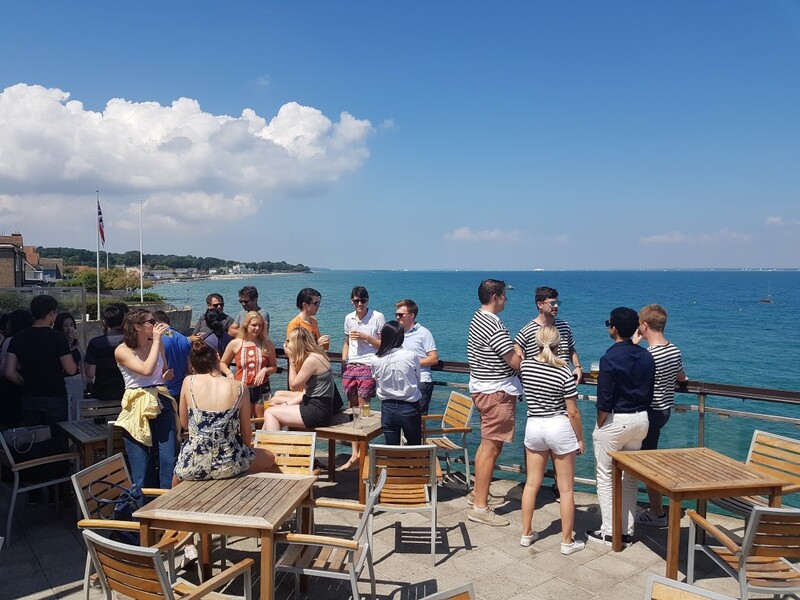 CHOOSING MARINE EVENTS TO HOST YOUR DAY. WHY? We believe that no one client is ever the same, so neither are our events. We provide an event manager from your first call to the completion of the event. 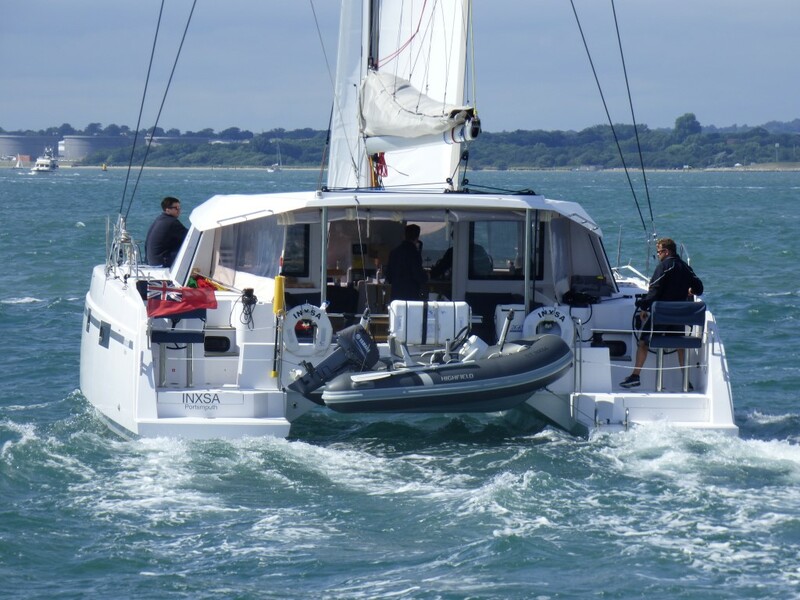 We have built Marine Events on repeat business with clients coming back year upon year. Below are just some companies that we have entertained onboard our fleet. 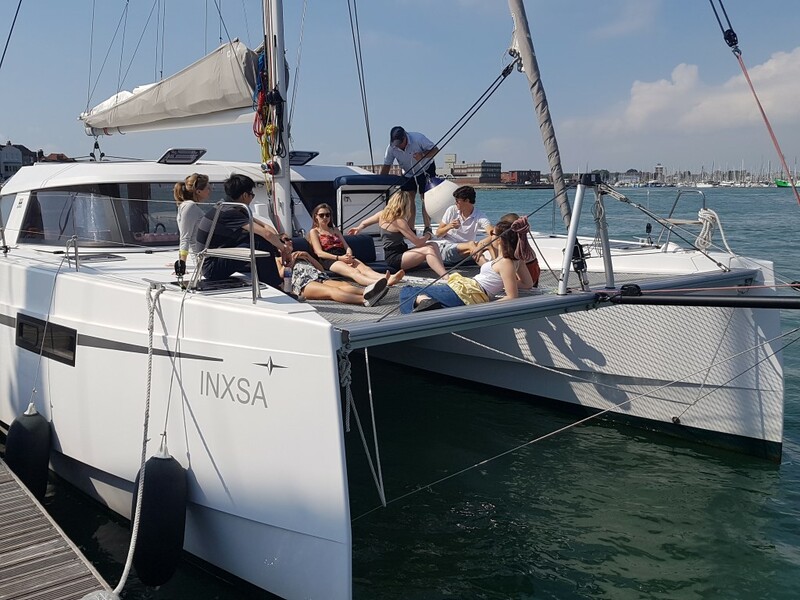 Case study event provided in 2018 – Corporate sailing day on board one of our luxury Catamarans. 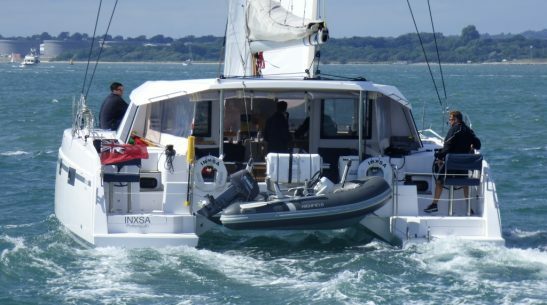 The Cat was based in Gunwharf Quays on the beautiful South coast with easy access into the sheltered sailing waters of the Solent and only a 15-minute drive from the M27. At the end of the breakfast reception there was a safety briefing and a chat about the plan for the day. 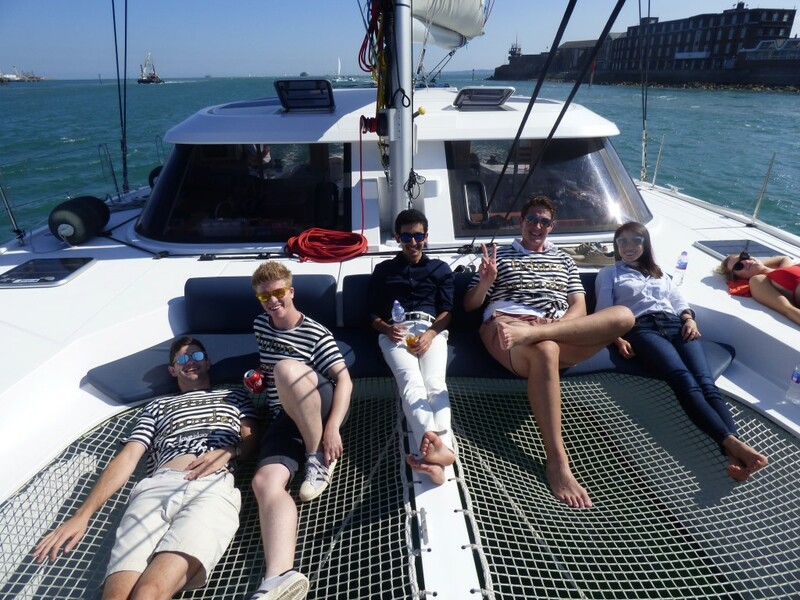 We then left the dock in the yacht for a gentle 5-minute cruise out of the Harbour and into the Solent. 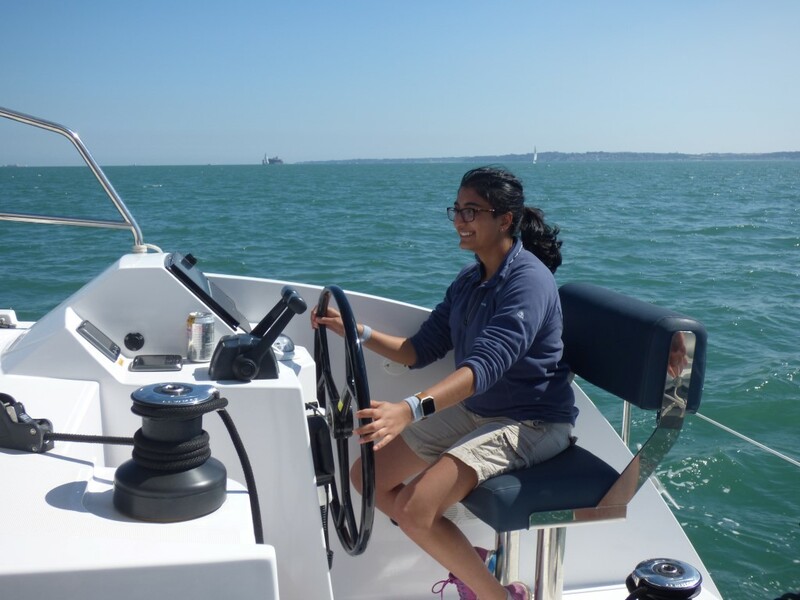 This gave guests the chance to familiarise themselves with the boat. 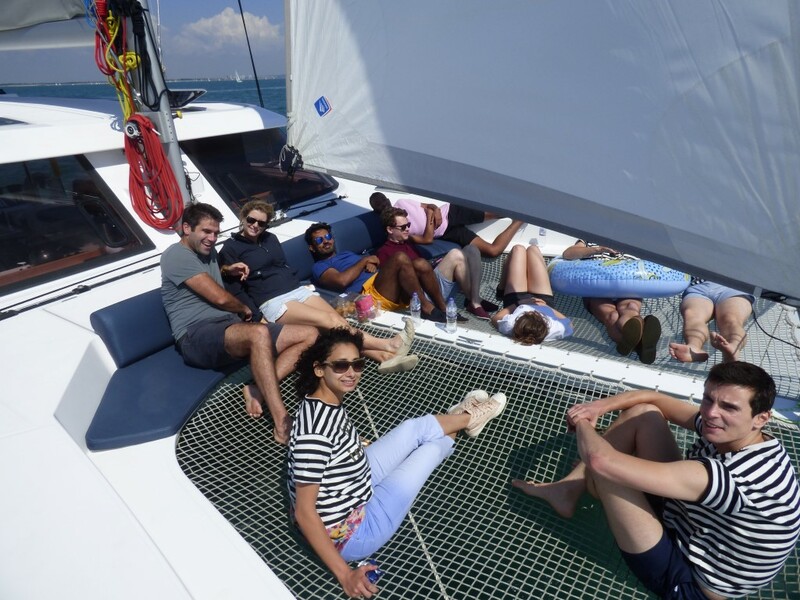 During the morning the guests got their first taste of cruising on board a luxury sailing catamaran. 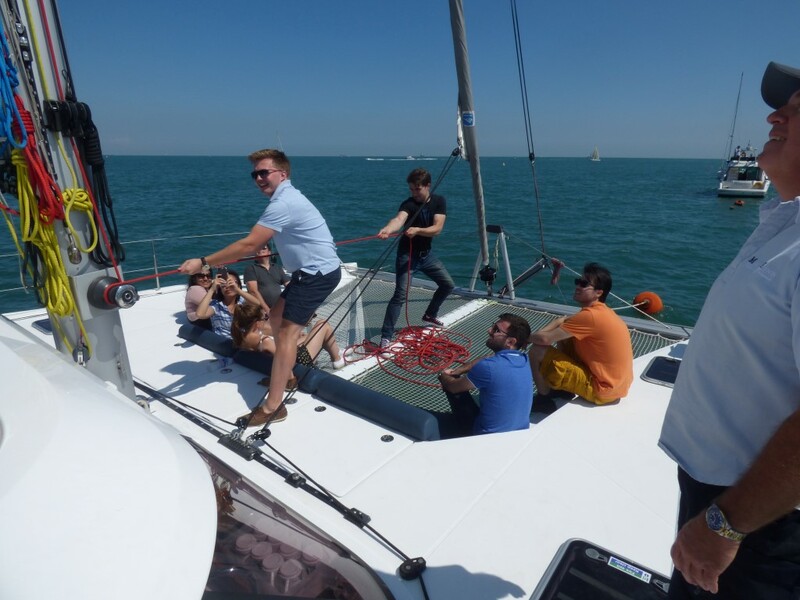 Everyone got plenty of opportunity to try some hands on sail handling, manoeuvres and helming. Great fun for experienced sailors and novices alike, alternatively they can just sit back and relax. Lunch on this event was taken at the beautiful Seaview Yacht Club on the Isle of wight, lunch can of course be taken on board the yacht in a Buffet Style. The lunch break will give the group a chance to chat over the morning’s events. 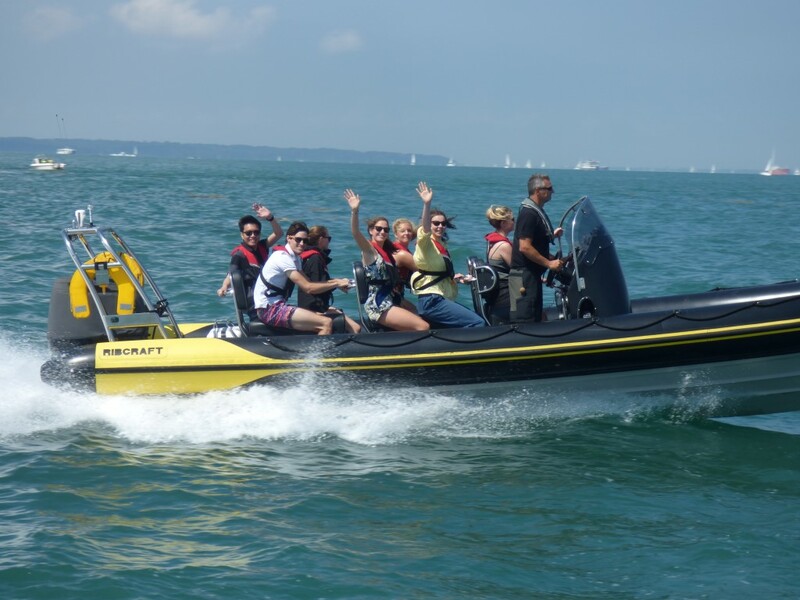 During the afternoon the guests had more opportunities to helm a luxury cat, while extending the day’s exploration, this group also had a high performance Rib to enhance the day and take guests for blasts around the Solent. Some people felt the relaxing option was more their style! The yachts then cruised in company eventually ending up back at the days starting point in Gunwharf Quays.. Selection of soft drinks all day to include, Coke, Diet Coke, Fanta, Sprite, Orange Juice, Bottled water, tea, coffee, milk. 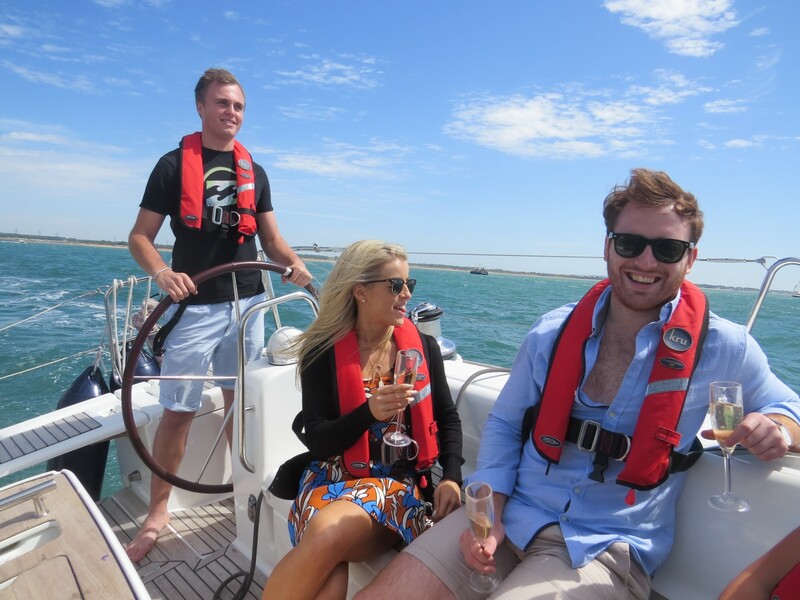 Note – Marine Events Ltd holds a full alcohol licence to serve guests on board our vessels. This is now a requirement by law.